Korean beef bulgogi is a classic grilled Korean dish. 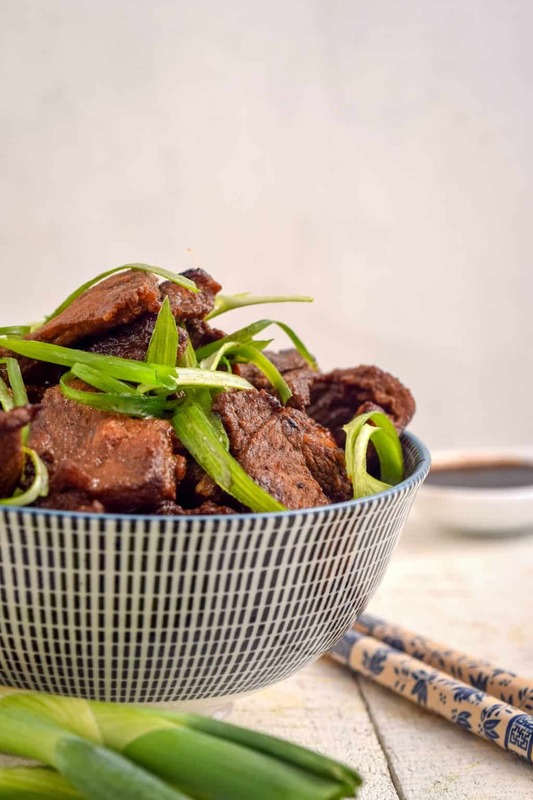 The dish consists of thinly sliced pork or beef, which has been marinated and either grilled or cooked on a flat cooktop. The dish can even be cooked like a stir fry, which is most popular in home kitchens. When using beef, sirloin, ribeye, or brisket are frequently used. However, like this recipe, other cuts of beef (boneless beef short ribs, in our case) can be used to satisfy personal preference. The dish originated from northern areas of the Korean Peninsula but is a very popular dish in South Korea. Believe it or not, it can be found in upscale restaurants as well as local supermarkets as ready-to-cook kits. 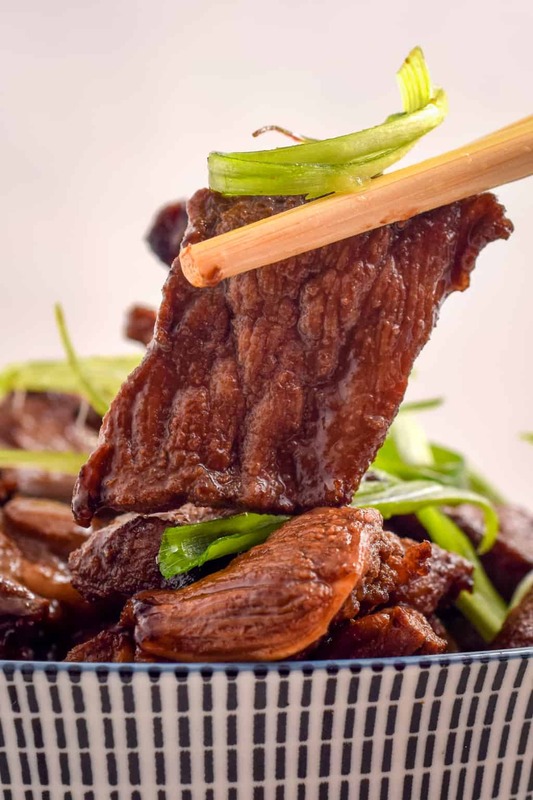 Bulgogi translates literally as “fire meat,” which comes from its preparation method. As mentioned above, the meat is traditionally cooked on a grill or a stove-top griddle. In order to make this delicious Korean dish, you’ll need to make sure you have the following ingredients on hand. Begin by thinly slicing the beef short ribs and add to a mixing bowl. Next, add the rest of the ingredients into the bowl and mix well. Let the mixture sit in the refrigerator for at least 30 minutes, stirring every 5 minutes to ensure the marinade covers all pieces of beef. Heat a wok or skillet over high heat, then add the avocado oil. Make sure to coat the bottom well with the oil! Add the beef mixture (marinade included) and begin to stir. Cook until the beef is cooked and the sauce reduces and thickens. Remove from heat and serve! Most Asian-inspired dishes aren’t complete without either a side or bed of white or fried rice. The bad news is, of course, rice is incredibly high in carbs. However, the good news is, cauliflower is a great rice substitute and can make this dish amazingly complete. Depending on what kind of mood you’re in, we have two cauliflower rice recipes you might be interested in. Check out our Keto Cauliflower White Rice and Keto Japanese Fried Rice recipes to help make this dish even better! 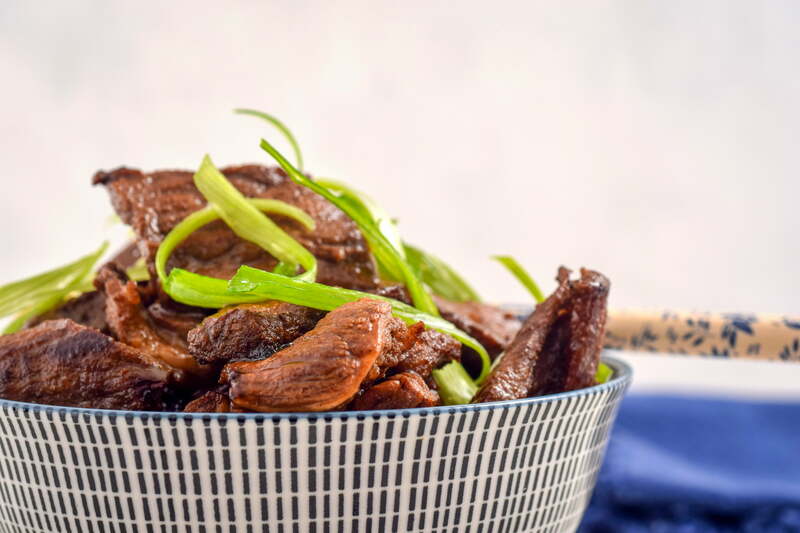 DOESN’T TRADITIONAL BULGOGI USE PEAR AS AN INGREDIENT? It does, in fact. However, pears are full of carbohydrates (around 30g per pear). While most recipes don’t call for a large amount of pear, keeping as many carbs out of a dish is always top priority. So, even though traditional recipes call for pear as an ingredient, we don’t use it here because of its sugar and carbohydrate content. WHAT SIDES GO WELL WITH BEEF BULGOGI? Besides the ever delicious white or fried rice, there are other great side dish recipes that pair well with this delicious dish. Cast Iron Wok – Cast iron is sturdy, heavy-bottomed, and basically indestructible. Why does that matter for you? Well, that means it makes a GREAT material to make cookware out of. A cast iron wok (or a regular steel work) is an essential tool in your kitchen, especially if you are a lover of Asian cuisine. Their depth, sloped sides, and cook surface makes woks invaluable when it comes to cooking larger amounts of food or foods with sauce. If you don’t have a wok (cast iron or other), you definitely need to look into getting one soon!